Having water problems in your basement? With large amounts of snow accumulation, and rain in the early spring months many Mass residents have basement flooding. 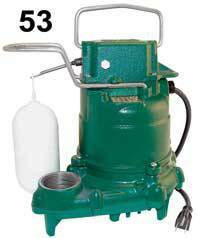 We employ a experienced crew of servicemen that can install a sump pump which would eliminate your water headaches. If this sounds like a solution to your problems please Contact Us for a free quote. This entry was posted in Plumbing Service. Bookmark the permalink.